Edition limited to 5000 non-numbered limited edition copies. Say the word “Motown,” and an immediate image forms in your head: maybe Smokey, or Diana, or Stevie, or the Temptations doing their famous steps. Or one of dozens of other classic Motown artists. But before the Motown sound had written itself into our musical DNA, before there was even a Motown label, there was an idea in the head of Berry Gordy, Jr.
Gordy’s empire began even before the house at 2648 W. Grand Blvd. 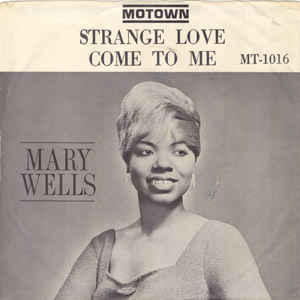 became ‘Hitsville U.S.A.’ The Complete Motown Singles, Part 1: 1959-1961 documents Motown’s earliest days, from Marv Johnson’s “Come To Me” on Tamla 101 from January 1959 through The Twistin’ Kings’ “Congo (Part 1)” on Motown 1023 from December 1961. The luxurious packaging resembles a scaled-down 78-rpm-era “album,” with cardboard sleeves to hold each of the discs, and 92 pages of rare photos, detailed annotations and scholarly - as well as personal – liner notes. It also features a reproduction 45-rpm single from its era; in this case, it’s Barrett Strong’s “Money” b/w “Oh I Apologize.” Berry Gordy, who co-wrote and co-produced nearly every track in this first set, contributes a brief, personally signed note in the booklet’s opening page. It introduces an eyewitness account of the early days from singer Mable John, the first female solo act signed to Motown. Also included is a historical overview by author and scholar Craig Werner of the University of Wisconsin, and track-by-track annotations, with not just song credits but stories and context of each song, by noted authors and discographers Bill Dahl and Keith Hughes. The Complete Motown Singles, Volume 1: 1959-1961 is a limited-edition set. Most of the songs contained on it are unavailable anywhere else; many had never been re-released on vinyl, let alone on compact disc. Volume 1 is only the first of a 12-part box series. We think of them coming off the production line, smiling girls in matching satin cocktail dresses and carefully groomed men in slick mohair suits, choreographed to perfection. We think, most of all, of that driving backbeat, a whip crack synthesis of snare drum, tambourine and (the secret ingredient completing the magic formula) the down stroke of a plectrum across a set of heavy-gauge strings attached to a Fender Telecaster. What we do not think of, when we think of Motown, is surf music, or novelty songs, or gospel hymns, or white-bread rock ballads, or supper-club crooning. But that is what we get among the 155 tunes that populate this album. Gordy was ready to try almost anything in his bid for success, and in the early days trying anything usually meant copying something. There are attempts to emulate the Coasters' Yakety Yak (Blibberin' Blabberin' Blues by Gino Parks), Larry Verne's Mr. Custer (Custer's Last Man by Popcorn and the Mohawks), Sheb Wolley's Purple People Eater (It by Ron and Bill - actually Ronnie White and William "Smokey" Robinson of the Miracles), and the Champs' Tequila (Ich-i-bon by Nick and the Jaguars). None of the imitations came close to success, which may have persuaded Gordy to encourage the search for originality among his protégés. The exceptions, not surprisingly, are the songs we know. These include the Miracles' irresistible Shop Around (which finds Smokey Robinson exploring a useful metaphor), Barrett Strong's pounding Money (That's What I Want) and the Marvelettes' sparkling Please Mr Postman. Each of these songs is based on a powerful central idea, and each was a national hit. But even the near-misses and the palpable mistakes are full of interest. Most of the tracks feature the embryonic work of the Funk Brothers, as the house rhythm section became known. They appear as the Swingin' Tigers on Snake Walk and bluesy instrumental. Renamed the Twistin' Kings, they are also heard on Xmas Twist. And there is also the chance to examine the claims of such obscure early Motowners as Henry Lumpkin, the Satintones and Singin' Sammy Ward. For those who wince at the sound of classic singles digitized in gutless fake stereo on modern CD anthologies, the very best aspect of this historic project will be the determination of the remastering engineers to reproduce the effect of the original vinyl - which is to say, hot to the point of distortion and in glorious mono, just the way they burst out of transistor radios in the days before Berry Gordy Jr looked at the Billboard chart, gave a little smile of satisfaction and picked up the phone to put down a deposit on his first Cadillac. Summertime in Detroit, and the city is sizzling. I’m driving my boyfriend’s Roadmaster over to the corner of St. Antoine and Farnsworth, where the Gordys live. Berry’s waiting for me. I’m his driver—he doesn’t own a car—and I’m also one of the two acts he manages. The other is a group that used to be called the Matadors. Now they’re the Miracles. We’re all hoping for a miracle because, truth be told, we’re all scuffling. The Gordy household is a beehive of activity. Pops is booking plastering jobs, Mom is selling insurance, the sisters and brothers are running a printing shop. Everyone’s working. Everyone has big plans. Everyone’s eager to score. Berry’s selling songs. His songs. His method is to get the songs to as many people as possible. The first line of attack is the people who know the artists and actually play the songs—disc jockeys. Suddenly “Fever” is playing on the radio—sung by Little Willie John, my brother. Berry smiles and sings along. “We’re getting there,” is all he says. A little while later, we’re at Lee’s Sensation, an east side nightclub where in the backroom the deejays are holding a mini-convention. The jukebox is playing “The Great Pretender” by the Platters, “Let the Good Times Roll” by Shirley & Lee. Joe Howard from WCHB in Inkster is there. So is Martha Jean Steinberg—Martha Jean the Queen—a force in Detroit radio. Berry is working the room while I prepare the food. When winter hits, Berry really does have a hit. “Reet Petite,” a song he wrote for Jackie Wilson, is climbing the charts. Now I’m driving him to dances and high school hops. Now I’m driving him to the Brewster Center. Now he’s meeting writers and singers at every turn. Here’s a girl named Janie Bradford. Here’s a guy named Harvey Fuqua. Here are the Holland Brothers. Here’s Barrett Strong. Here’s Marv Johnson. Here’s a great drummer named Benny Benjamin. Berry has more hits; the hits make him bolder. In New York, where he takes me and Smokey Robinson, along with his parents, sisters and Raynoma, his second wife, to a BMI dinner, he wins a songwriting award. “Start your own label,” I say. We’re eating at Gladys’, a house with a restaurant in the basement serving the best down-home cooking in the city. Berry has spilt barbecue sauce on his otherwise clean white shirt. Rehearsal is at Claudette’s house. She’s Smokey’s girlfriend and one of the Miracles. Rehearsals go great. Berry has an idea for a new song. Berry has an idea for three new songs. Berry is still writing songs while we drive over to the Flame, the jazzy night spot where his sisters take pictures and sell cigarettes, and Maurice King is the maestro. “Maurice is going to be your music coach,” says Berry. Maurice is great, but the main coach is Berry. He’s coaching everyone. He’s pushing everyone in six different directions at the same time. Riding down West Grand Boulevard he spots a plain-looking house with a ‘For Sale’ sign. We stop and get out. He walks up the stairs, peers in the window. 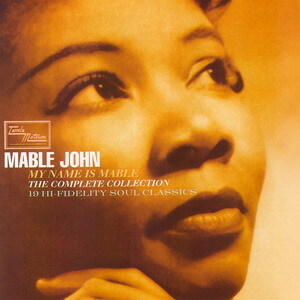 Mable John was the first solo female recording artist on Berry Gordy’s first label, Tamla. Later in the Sixties she recorded for Stax/Volt. For many years, she was Ray Charles’ lead Raelett. Today she is Dr. Mable John, a minister of the Joy in Jesus church in Los Angeles. You must have an MP3 player installed to hear this!